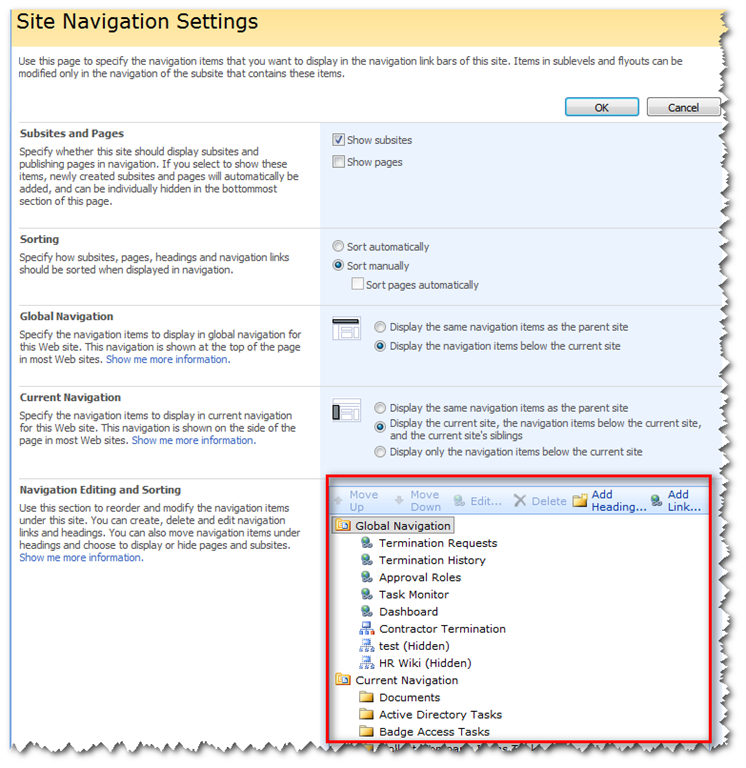 Site Navigation Settings Missing in SharePoint 2007 Using IE9 | Are you a user? Then, navigate to the same page and voilà, your navigation editing area appears! This must be due to some malcontent add-on. Enabling and disabling add-ons and refreshing your page brings you to NameCtrl Class being the add-on that seems to be causing the problem. Disabling this add-on fixes the issue…at least it did for me! Thanks! This worked for me, and I’m still on IE8. Just what I needed. Thanks for the post. 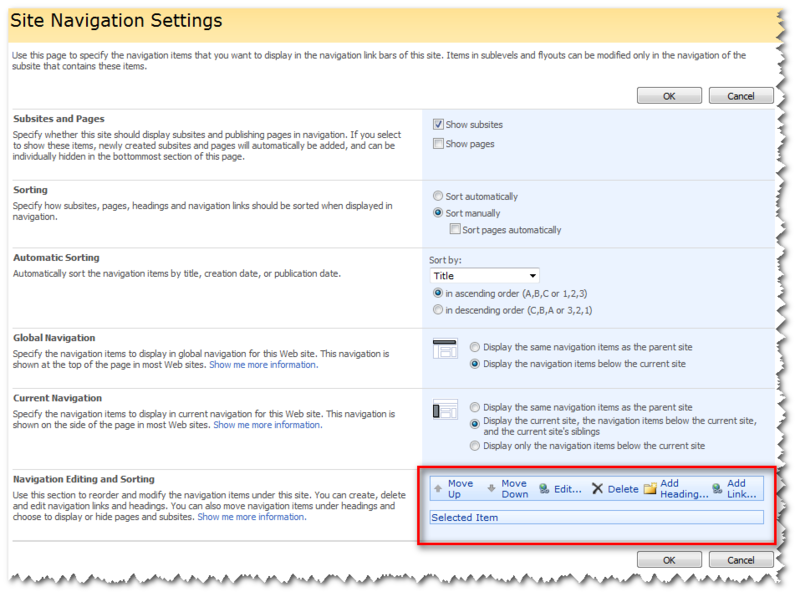 « Microsoft Project 2010 Sync with SharePoint 2010–Sorting It Out!